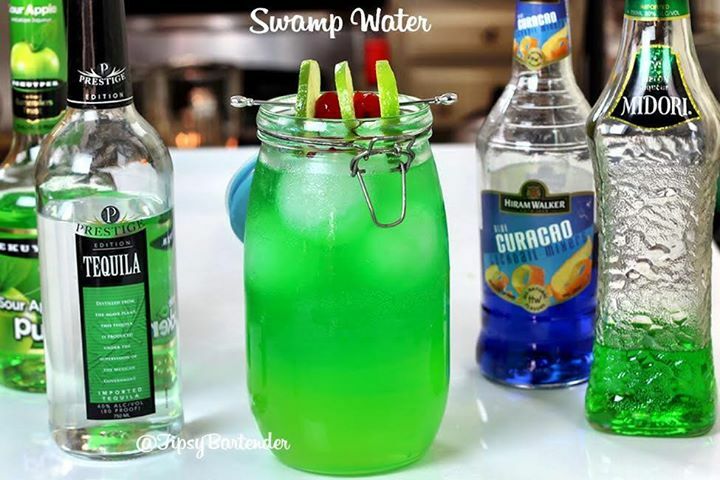 The Swamp Water Cocktail is an electric green drink made in a giant mason jar. 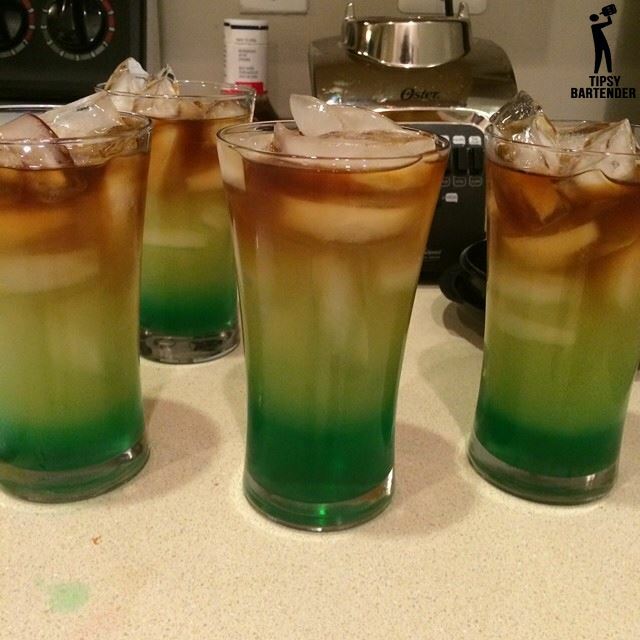 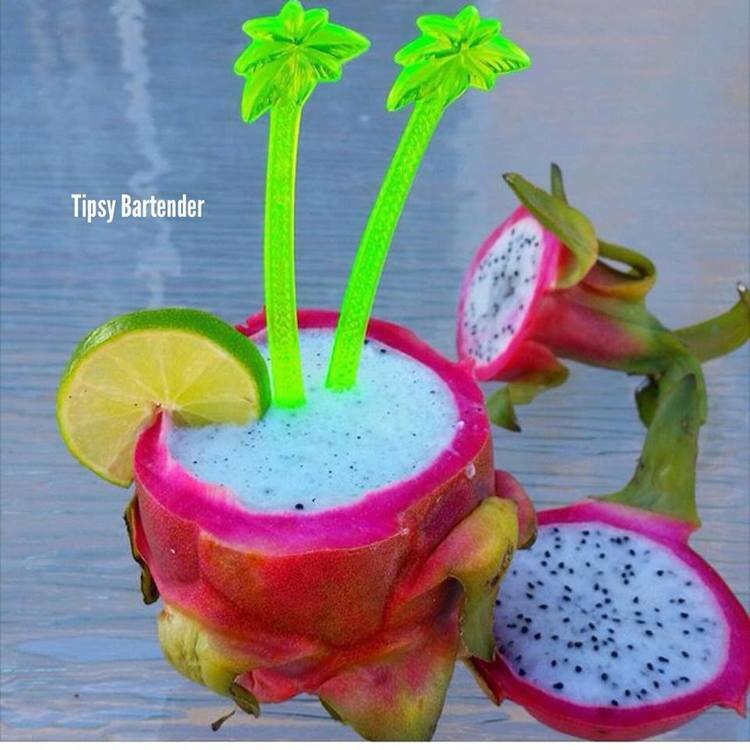 This drink is perfect for St. Patrick’s Day or the big game. 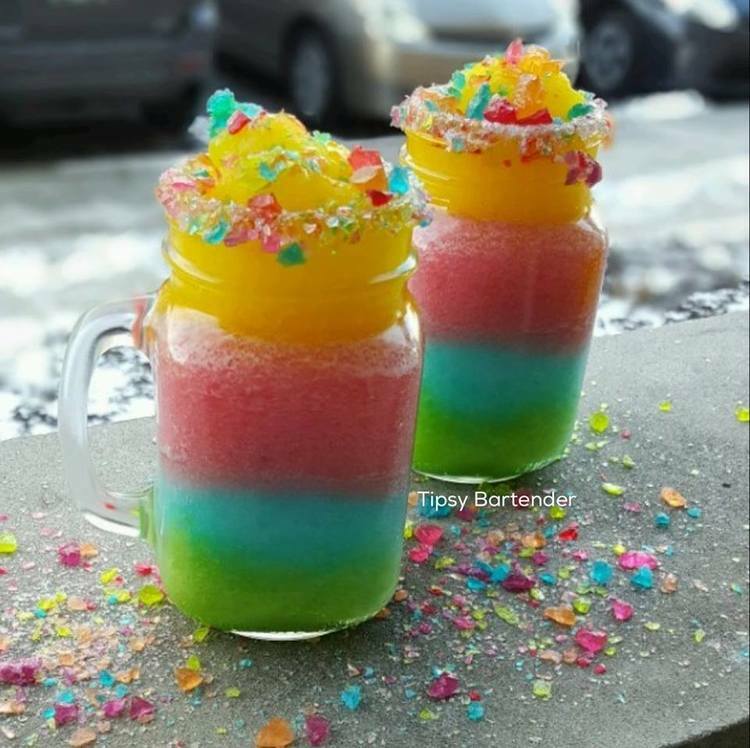 You can walk around like a badass with a giant mason jar for a drink. 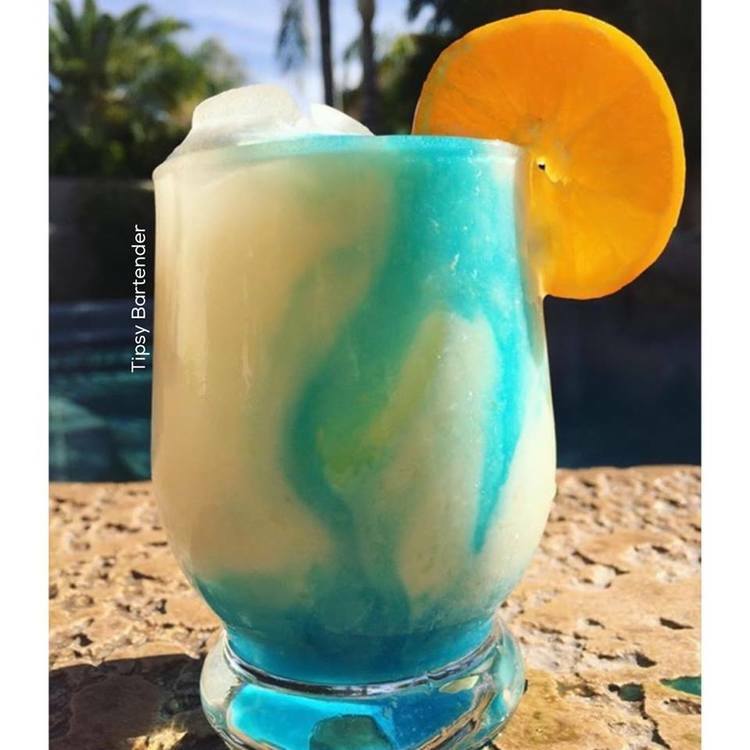 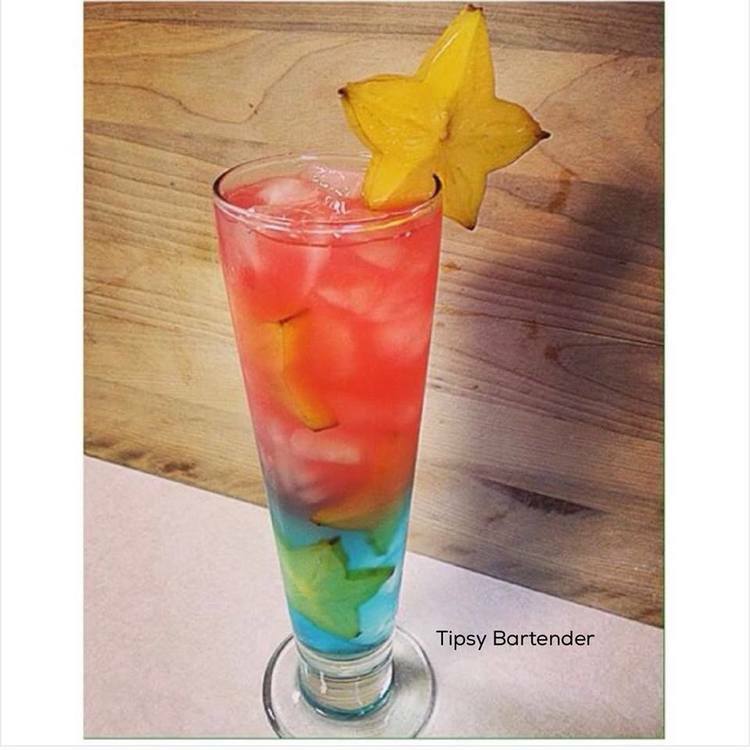 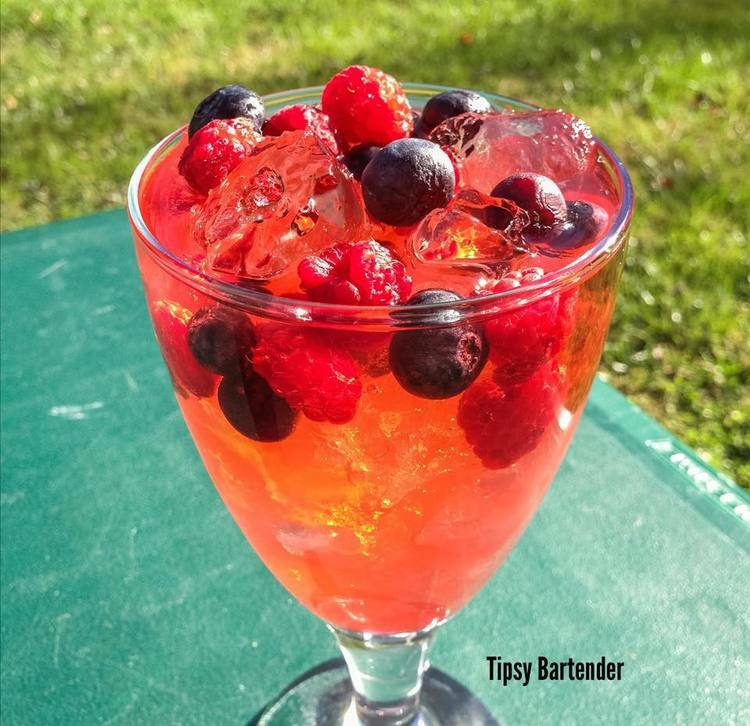 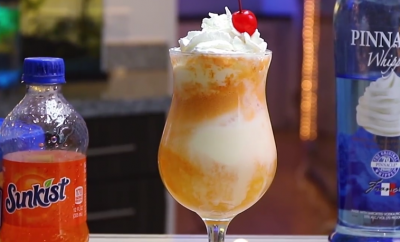 Toby Kieth came up with the original recipe for this drink, but we’ve tweaked it some and you should definitely give it a try. 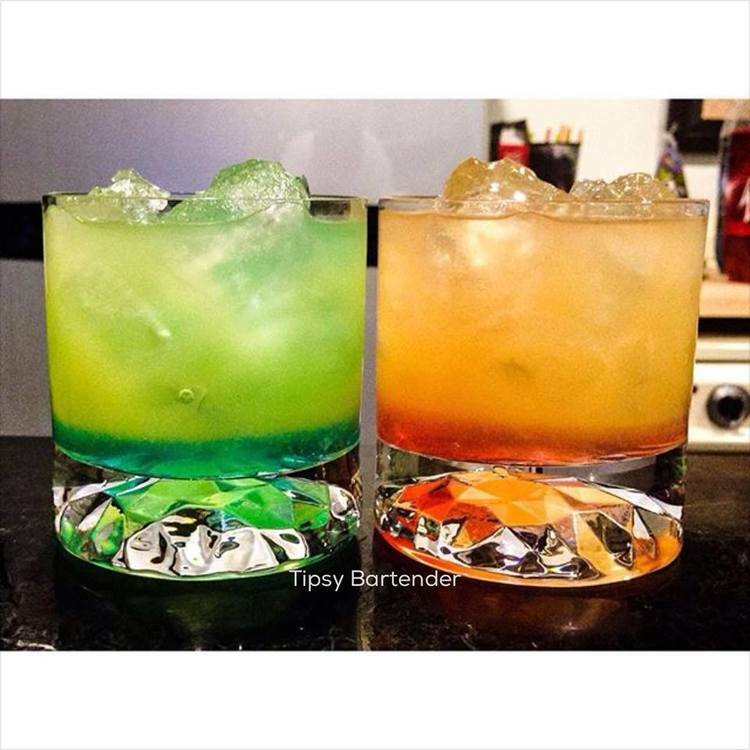 This drink is made from: White Tequila, Midori, Sour Apple, Sweet & Sour, Sprite, Lime and Cherries.